When you need that one jolt of caffeine to kick start your day, nothing works better than breathing in the aroma of your favored brew! A perfectly made hot beverage starts your day on a positive note. 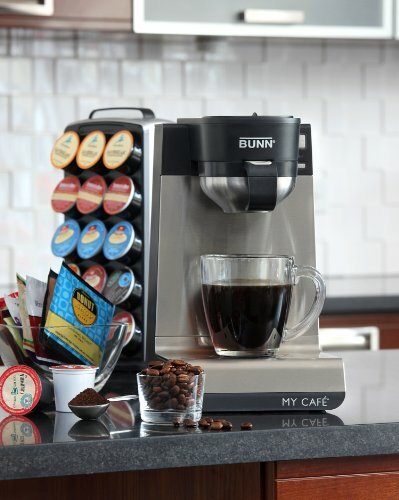 The BUNN MCU Single Cup Multi-Use Home Coffee Brewer brings together the convenience of brewing a single cup of your favorite hot drink, and choosing from the different available options of soft coffee, ground coffee, K-cups, and loose tea, tea bags, and pods. Minimum it can brew is 4oz and maximum is 14 oz. Priced higher than the BUNN MCU Single Cup Multi-Use Home Coffee Brewer, the Ninja Bar Coffee Brewer, has an 18-oz. hot and cold tumbler, a glass Ninja easy-milk frother, permanent filter, five paper filters, coffee scoop, and a 43-oz. stainless double-wall thermally insulated carafe. 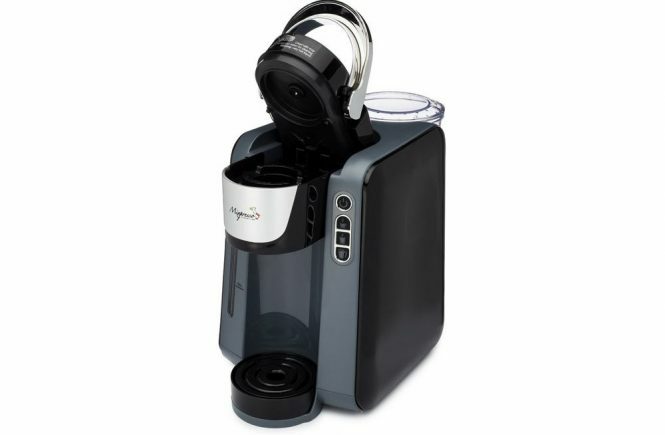 It has a dial for multi-serve that enables you to choose the size of the serve according to the cup, mug, travel mug, or full or half carafe. Its thermal extraction flavor technology allows you to select the depths of flavor in your choice of brew. Its Auto i-Q One Touch Intelligence system only draws in water necessary for the required serve. Your brew remains drinkable hot and retains its flavor even without a warming plate because of the thermal carafe. 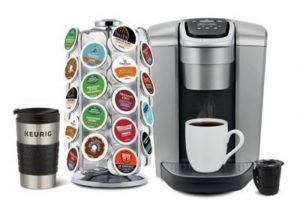 The Aicok Single Serve K-cup Coffee Maker is priced lower than the BUNN MCU Single Cup Multi-Use Home Coffee Brewer. It can serve multiple cup sizes as per preference. 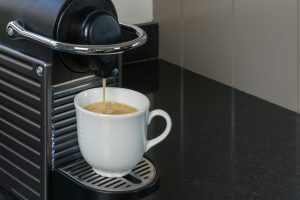 Because of the Quick Brew technology, the drink takes 3 minutes to brew and serve. The drip tray and water reservoir are both removable. The drip tray can be detached to accommodate travel mugs and like. The water reservoir can hold maximum 12 oz. of water and can make multiple cups without needing constant refilling. The one-touch button control is easy to use, it has an auto shut-off, and is an energy saver. It is compactly sized to fit small, tight spaces, and is easy and lightweight to travel with. The water tank material is BPA free. A 100% guarantee comes from the UL, ETL certifications. There is also a two-year manufacturer warranty. 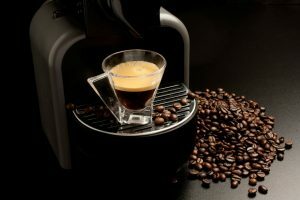 When compared to the BUNN MCU Single Cup Multi-Use Home Coffee Brewer and considering its price range, the Ninja Coffee Bar Brewer does not make espresso. It just tries to mimic it by giving you a cup of concentrated drip coffee. Even multiple brewing does not get a full carafe of ready coffee. The coffee doesn’t stay even warm for long, forget hot, and it gets messy. 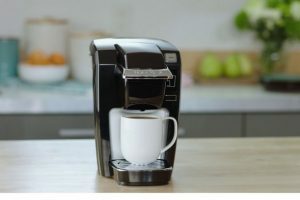 In contrast to the BUNN MCU Single Cup Multi-Use Home Coffee Brewer, the Aicok Single Serve K-cup Coffee Maker only accepts K-cups, no pods or bags or ground coffee. It leaks when it brews, and as per quite a few customer reviews, this coffeemaker quit working almost immediately. 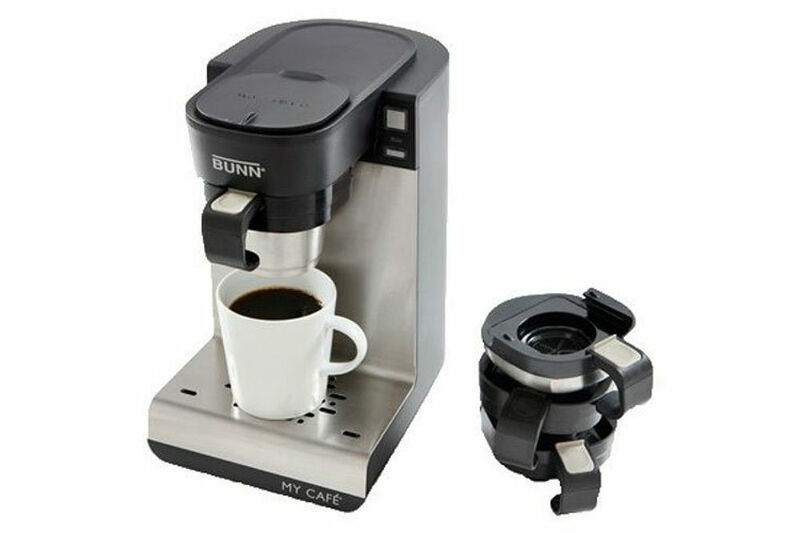 The BUNN MCU Single Cup Multi-Use Home Coffee Brewer is a versatile brewing machine. Your choice of brew comes out hotter and more flavorful when compared to other brands. The machine is aesthetically pleasing, is easy to operate, fast, and over delivers for its pricing! 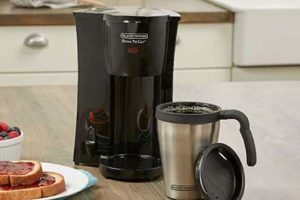 Positive customer reviews, pros, and features all make the BUNN MCU Single Cup Multi-Use Home Coffee Brewer an ideal choice for making your favorite brew within a minute.